WRS are always trying to stay actively involved in marketing campaigns, local press from sponsorship that we have contributed too, and visiting events to ensure we are staying ahead of the market and trends. 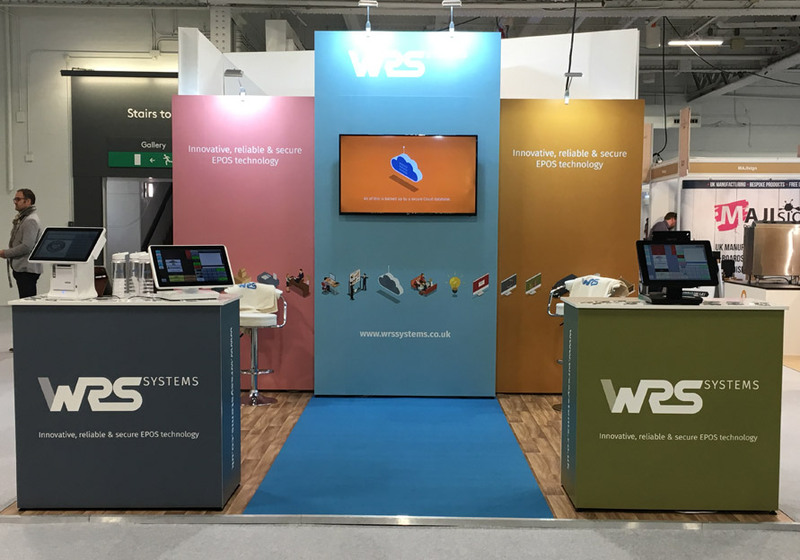 The year of 2018 saw WRS exhibiting at three different trade show events in London, two being based at the Excel exhibition hall and the other at The Olympia Kensington. This was our last one of the year called The Restaurant Show. The Restaurant Show – the proof was in the name, all catered and focusing at Restaurants and local cuisines who are looking for new innovative ideas and equipment to revolutionise their business and move forward for the year ahead. The show sees everything from new state of the art cooking equipment to technology to make the interaction with the customer as smooth as possible to the dining trade. We decided to book a space! Booking an exhibition stand at a show can be more complex than you think. You have the paperwork to compete from risk assessments, to health and safety forms, to how you are building your stand, and does that involve third party contractors and electricity… mine field! That is without looking to offer food and drink on the stand itself. The upside is you have many advisors to help and support you where needed and to keep you on track with all paperwork, deadlines in which it needs to be completed by reassuring you that you are organised and ready. WRS had third party contractors design and build the stand so all we had to do (we say) was arrive with all WRS merchandise and set this up as to how we wanted it. The show itself had the WRS team interacting with many different profiles of people from day to day. Restaurant owners were the key visitor. However, we also found it would be a great opportunity to liaise business to business, exploring how we can partner and support the whole technical package, for example, an ePOS provider integrating with a reservation diary or loyalty app to offer the customers a flush and easier process. The show lasted for three days and overall we gained some great business as a company, but also the knowledge set to be innovative with the hospitality industry and what we need to do to stay ahead of the market moving forward.